The Innovation of “Liew” | Ipoh Mali Talak Sombong! I remembers my old-school days; how my classmates and I would sprint to the canteen when the recess bell rang. 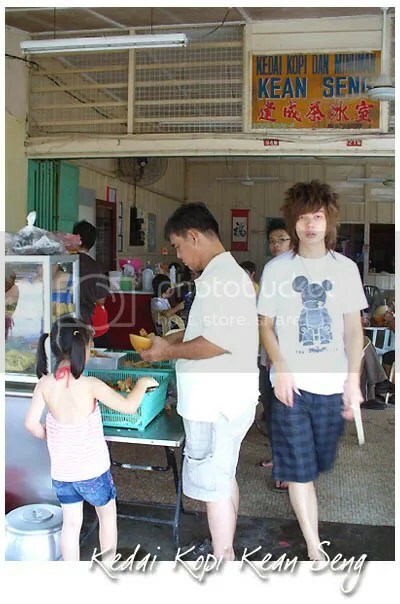 Most of the Chinese students would surround the noodle stall, picking their choice of noodle with their favourite liew or yong liew (that’s the common term for yong tau foo in Ipoh) and pass to the aunty mending the stall. 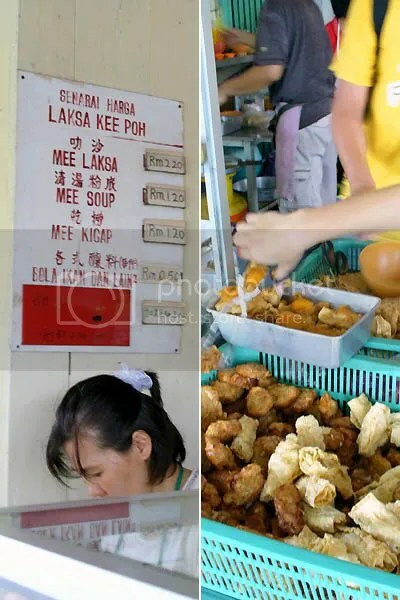 My favourite would be the deep fried fuchok (rolled or flat version), sotong ball, deep fried wantan and so on. When CityGal brought J2Kfm and me to this coffee shop in Gunung Rapat one week before Father’s Day in June, it really opened up my eyes to how liews had evolved into over the years. My pictures here don’t do justice to the selection (kindly hop over to CityGal and J2kfm’s posts above for a better view, or Star Metro’s article by Alexandra Wong here, tenkiu), but my eyes couldn’t be playing tricks on me, right? Erm…. stuffed brocollis, stuffed oyster mushrooms, stuffed baby bok choys, stuffed enoki mushrooms (how did they do that??? ), stuffed baby corns, stuffed capsicums… I lost count. And that haven’t include the usual fried items. The mah tai kang (water chestnut drink) with bits of water chestnut was refreshing on a hot afternoon. The fried liew were freshly fried upon ordering and was a hit among us. 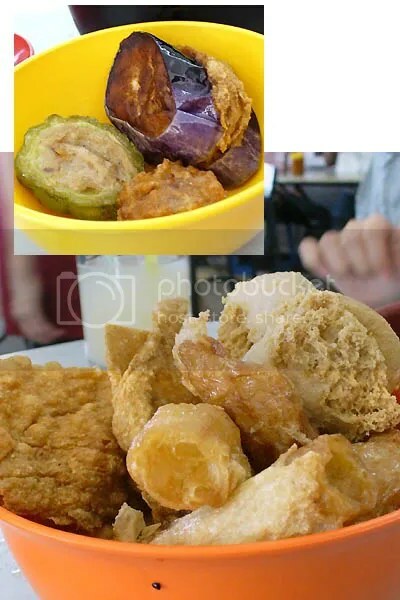 The fried Chinese crullers and taufu pok stuffed with fish paste were a tad hard though. Stuffed capsicum was not bad, a nice substitute for green chilli especially if you don’t fancy the latter. 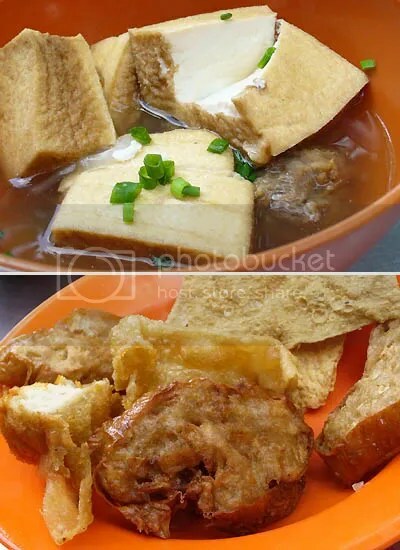 If I were to compare Tai Shu Keok with Kwong Hong, I would say Tai Shu Keok has more fried items while Kwong Hong’s liew are more suitable for those who wanna watch over their waistline. 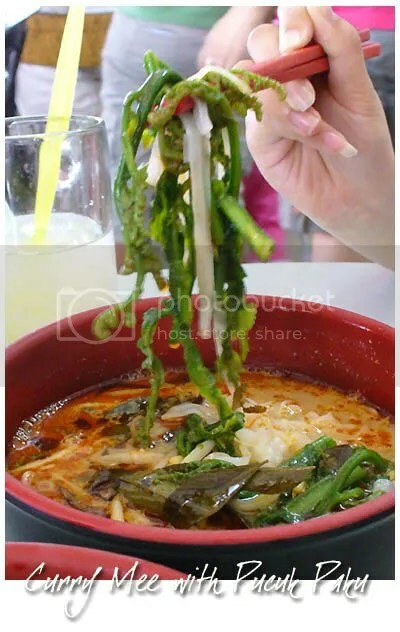 The next surprise was in the bowl, where our shared portion of curry hor fun served with kaku choy (a type of fern commonly stir-fried with belacan and chilli). Odd combination but it worked well on our palates. Click here for map by J2kfm. Hold on…. the day was still early and there are still more space to be stuffed in our belly… so, we hop to another shop for more liew! Located just further up at the same street, we passed by this shop earlier before Kwong Hong and we decided to drop by later upon seeing basketfuls of liew on the counter. The low profile, wooden shack of Kedai Kopi Kean Seng seems to be famous for the assam laksa. The stall, called Kee Poh (not Kai Poh, as we wrongly read at first!) is manned by a couple. 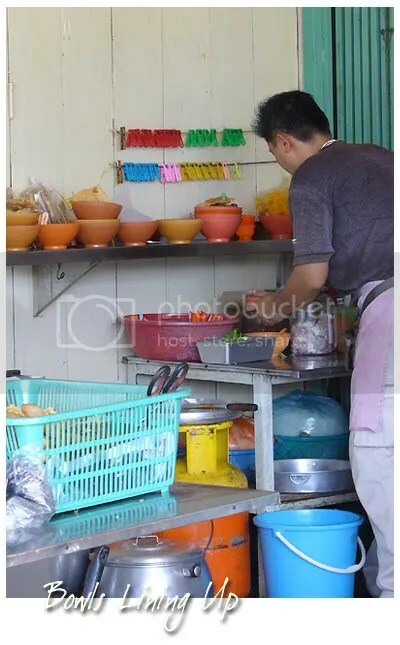 The same system goes here; pick whatever liew you want, pass them to the husband and order your noodle. Get a table and wait patiently. While the other two only wanted liew, I couldn’t resist to lay my hands on a bowl of assam laksa (RM2.20). The broth was slight watery but when you mix in the prawn paste, it’ll be nice. Piquant but not spicy, it wasn’t the best assam laksa I had so far but still rather good. This time, we picked some sar kok liew, one of my favourite as we did not see it at Kwong Hong earlier. The fritters are made from diced yambean (sengkuang), fish paste and seasoning, rolled up before cut into thick slices and deep-fried. This only can be found in Perak as I never seen it in KL or Penang before. Before we part ways, J2kfm asked CityGal about the traditional hiong peng (fragrant biscuit) of Gunung Rapat and immediately, she brought us to a single storey house tucked away in the residential area. 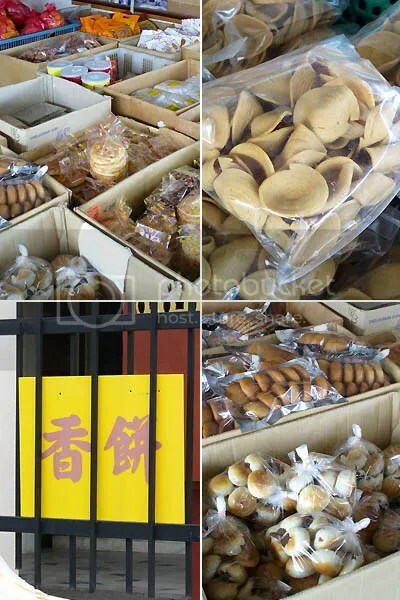 Boxes of home made cookies and biscuits are laid out at the porch, waiting to be picked up by potential customers such as the traditional home made hiong peng, biskut telinga, lou poh peng (Wife’s biscuit) and so on. 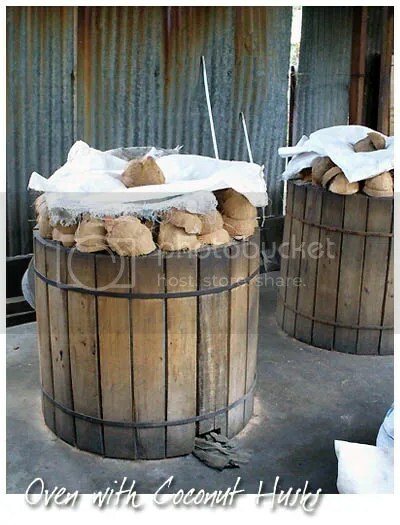 How did we know the hiong peng are really traditionally baked? From these clay oven, clad in wooden planks and cocount husks, of course! Read about Eat First Think Later’s thought on hiong peng here. 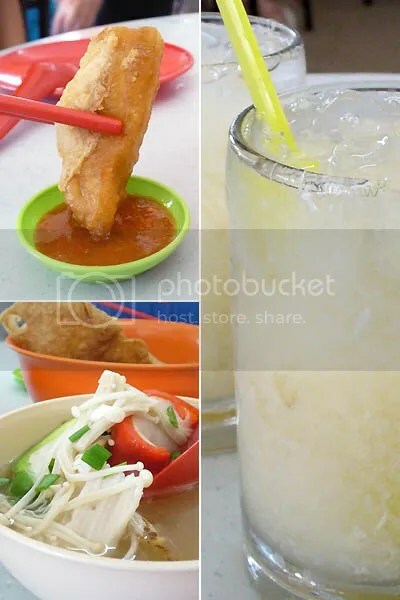 This entry was posted in Food (Ipoh), Gathering, Type: Chinese, Type: Hawker Fare by Jason. Bookmark the permalink. oh oh oh..a trip to ipoh is in the works!! Cant wait… the Merdeka weekend sounds gd! haha, you remind me of sprinting to the noodles stall as soon as the bell rangs.. bcos this stall is always with long queue, so it’s wise to get down early to avoid having to wait and then no time to eat before the break is over..
oh, i love “liew”, my friend brought me to the famous stall under a big tree during my visit to Ipoh, yum yum, and i especially like the foo-chook and sar kwot one.. Your post really lift this Ipohans’ favourite breakfast to another level. Its ‘liew’ not YTF. Thanks. I found out that ‘liew’ is available at a number of place here and we can even have it with curry laksa!!! wei, i went to buy another 2 packets of those heong peng yday! all the way there …. and they’re LOVELY. really good stuff, i am unabashedly admitting i’ve fallen in lurve deeply with Seng Kee’s traditional heong peng. Hello… i’m glad to share with fellow Ipohans! As for the biscuit Seng Kee… try to see the link I attached for map. Going Ipoh end of Aug?? Might be jam! You mean the guy in front the shop? That’s Tai Shu Keok as I mentioned above 🙂 Both are my fav liews! So in love with Seng Kee now? I got a pack of Yee Hup’s last weekend… taste very…. plain and normal. Doesn’t have the smoky flavour to it. 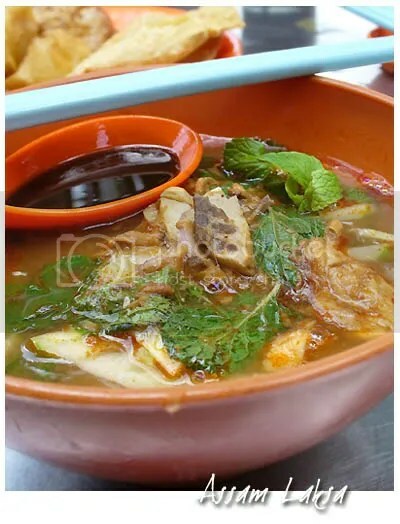 Wow, really need to make a trip to Ipoh already, misses the good food there. must ask my dad why he never brought me there before 😛 They stuff liew into every nook and cranny hor? Ooh I did go there when I was back this year in January it tasted really good. The fried ones are nice but I just happen to always order the clear yeong tofu in broth and dip loads of chilli with it. The noodles are the typical ones that just reminds you of your childhood. T.T I miss them so much. Eh why do I never see you guys do one on the yeong liew shop around the old Bat Gok Lau (the demolished octogonal building) in the city which serves really nice yeong liew also? 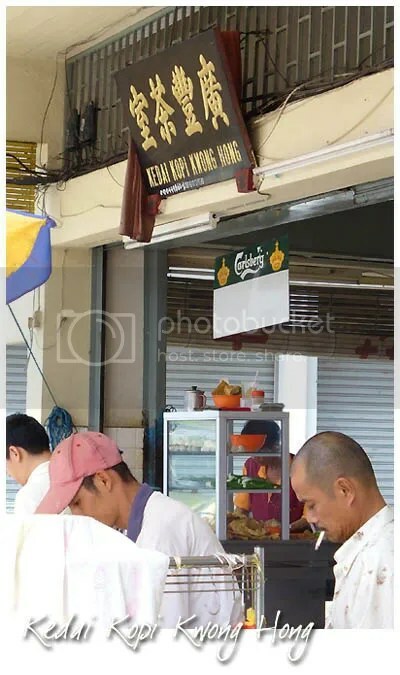 mah tai kang and sar kok liew is synonymous with Ipoh. very interesting selections of YTF alright! Yeah, I prefer to call it yong liew too. Haha, yep. For example, at the base of the siew pak choy. Get it? The Pat Kok Lau yong liew? Where is it located exactly? We floggers sometimes need recommendations too! The Pat Kok Lau yong liew shop is just facing the main road. Only opens at night…around 7pm but quite expensive though. Also regarding the mah tai kang, u guys should try the one at hor lok restaurant. Jason C, you know where the place right? The corner coffee shop opposite Deli Garden bread shop and in front of my house…haha. the “liew”s are the best.. i love crunchy “liew”s.. haha..
Ah Sir, what’s the name of the shop ah?